Online tee times are not availabile for OConnor. 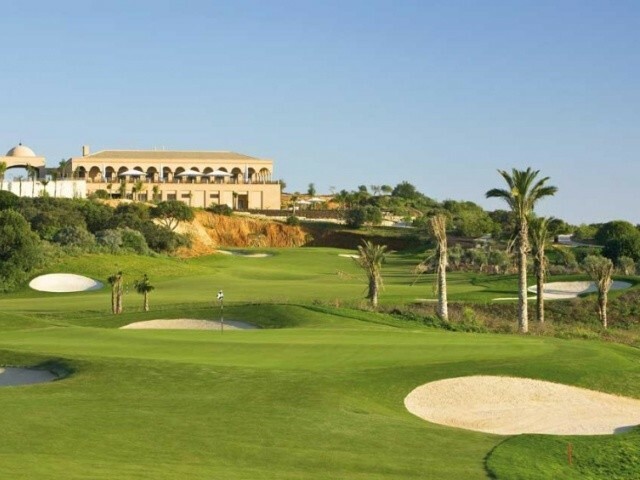 Perfectly complementing the Faldo Course, whilst taking advantage of the rich valley soil, in contrast to the arid hillside, the Christy O'Connor Course offers no less of a challenge, requiring accurate play. The front 9 holes encounter a number of lakes, the 3rd being recognised by a Moorish relic situated on a island in the adjacent lake. Holes 7, 8 and 9 offer a particular challenge, where the water hazards could force a lack of concentration. Hole-10 leads play away from the northern boundary, setting up the challenge for the inward nine. Large bodies of water and meandering watercourses will test players all the way to the 18th. Assaulting the hillside in front of the clubhouse, this final hole will require players to drive with pinpoint accuracy to set up the approach shot to a two-tier green benched into the hillside. Course was in fantastic condition - the fairways were like carpets and the greens were smooth and ran well. A fair test of golf with wide fairways and big greens but plenty of bunkers and water also. The buggies are very smart, but a little too smart at times, meaning you have to reverse out of places which is a slight inconvenience. Also great views from the 19th! Be precise on all of your green approaches. There is water, ditches & bulrushes everywhere. You will need a course plannner & yardage, if you want to finish with the ball you started with? Very tough course especially from the back tees. Many ravines require clever game strategy. Course was in fantastic conditions. Not as undulating as Faldo course. We liked both courses a lot. Really beautiful and changing course but not for high handicap golfers - anyone over 18 will struggle to score with all the water and carries to the fairway. Great service included!